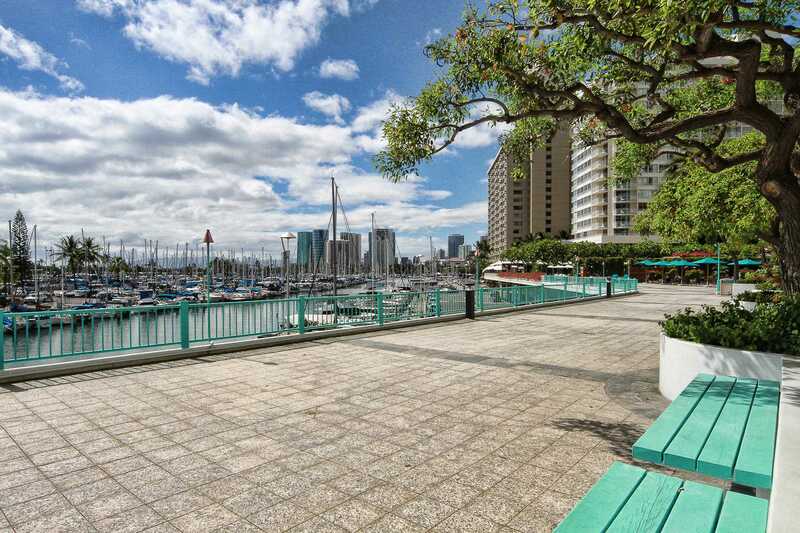 The property was spacious with an outstanding view of the yacht harbor Ala Moana Beach Park. The kitchen cabinets are tired but there were plenty of dishes. I could have used a pan to roast in the oven and a larger saucepan. The bathroom is good size with adequate counter space. The king size bed was comfortable. We couldn't get the Tv on when we arrived and had to call for help and the return call was prompt. We continued to have trouble getting the channels to load which persisted throughout our stay. The air conditioner was rather loud and cycled off and on. We turned it off and used the fan and opened the door to the lanai which we closed at night due to noise and light. We dined on the lanai as there is no indoor table for dining which was just fine. The lanai is large with adequate seating. We especially liked that it was shaded for most of the day except for a brief period before sunset. 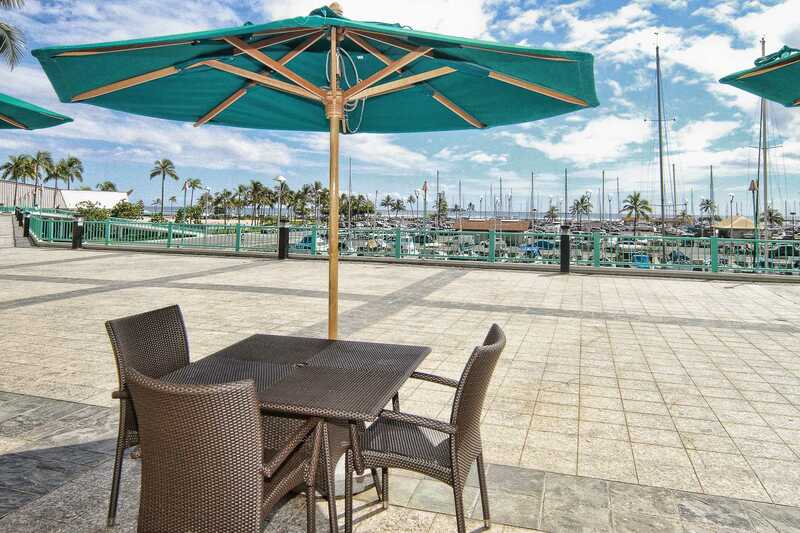 Great place to stay, very accessible, you can walk to Waikiki boardwalk, the marina, and many other places. Great view, sunsets are amazing. Communication was great, all instructions and directions to self Check in were accurate. Overall, great experience. Good location is the best! ? You can spend comfortably. The location and view is the epitome of relaxation. Patio is a great place to relax and watch the surf. It's also the best place to view the 5pm conch and torch lighting and the Friday evening hula and live music. The room is nicely decorated, lots of great storage options, and wonderful blackout curtains. The keypad entry was an awesome option, no need to worry about a key on the beach.The only issues were the fridge, shower, and bed. The fridge had a very nasty smell when we first arrived. We have to get some coffee to take the smell out of things. Part of the issue may be that it's on its last legs, as the fridge didn't keep things cool, let along cold. While the freezer took a two days to freeze ice cubes, it seemed to still be working, but the fridge was actually warm. The shower is a bit old and has some obvious buildup on the sliding doors, interior and shower head. The bed is a true King, but it's old style spring bed that has a detached headboard. While the bed is comforatable enough, it's starting to sag and some of the springs are sticking up. There are beach chairs and other beach equipment available, but some are getting a bit worn out and could use replacing. 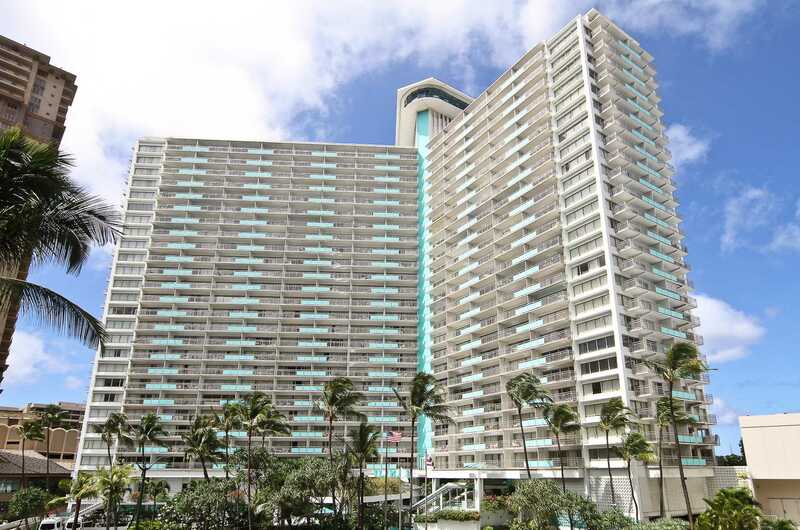 The property is located in the Ilikai Hotel/Condominiums in a great location next to Waikiki Beach. 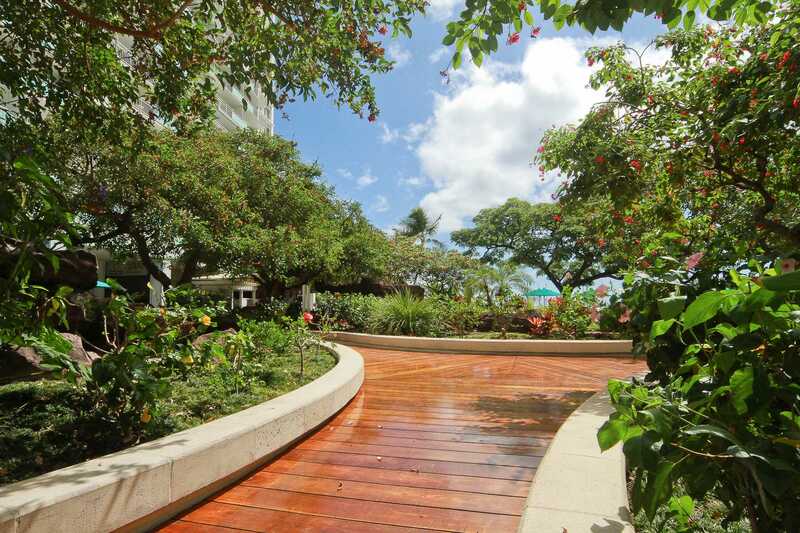 The room was very spacious and well appointed and the view from the lanai was magnificent. We enjoyed our stay and hope to be back again in the future. The room was everything that the pictures showed.Beautiful view and very quiet. Air conditioner a bit loudBut got used to it after a couple of days. Really enjoyThe Ilikai and its location. Hope we can make it backnext winter. Fantastic condo, great views, very well located, a short work to everything but also situated out of the hustle and bustle. Condo itself was very spacious and clean and would highly recommend. Great place to stay with a great view too!! 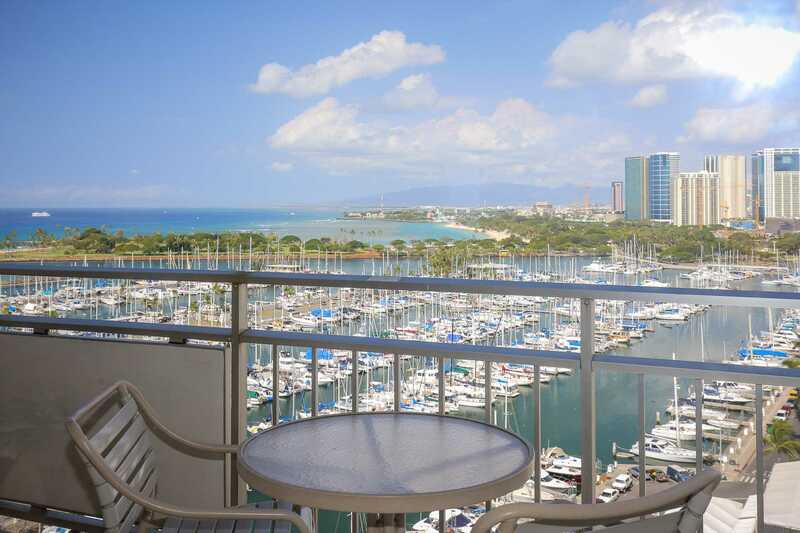 We have stayed at this property once before and were pleased with its location especially.This time around we had an issue with an odor in the unit which was addressed with much care and concern by the management.This unit has a lovely view of the marina and is in close proximity to all the action in Waikiki but since it is near the marina it is a bit quieter.Since we don't do a lot of cooking while we are away, this unit is quite adequate for us. However, if you are into cooking on vacation the kitchen equipment is sparse. The only condiments are salt and pepper so you would need to purchase any spices and oils for cooking.The critical question is "will we be back?" and the answer is YES! The view is absolutely fantastic. 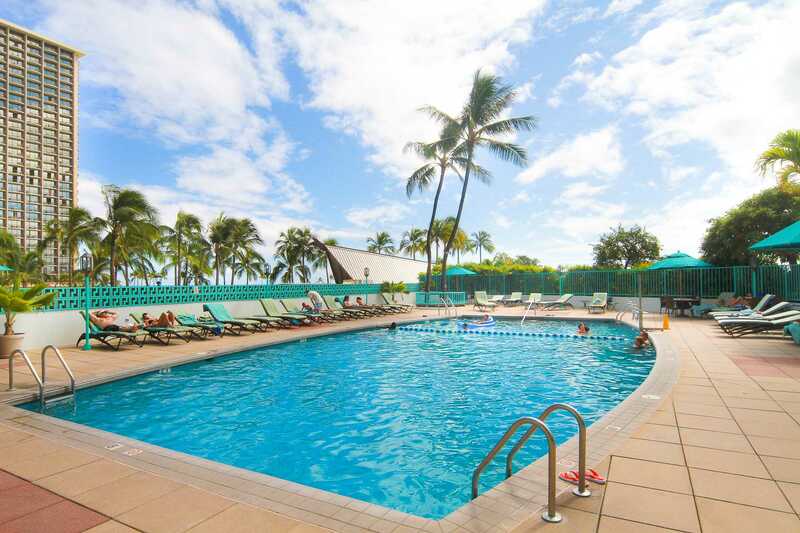 This was our first stay in a Hawaii VRBO property and we made our decision based on the pictures posted online. 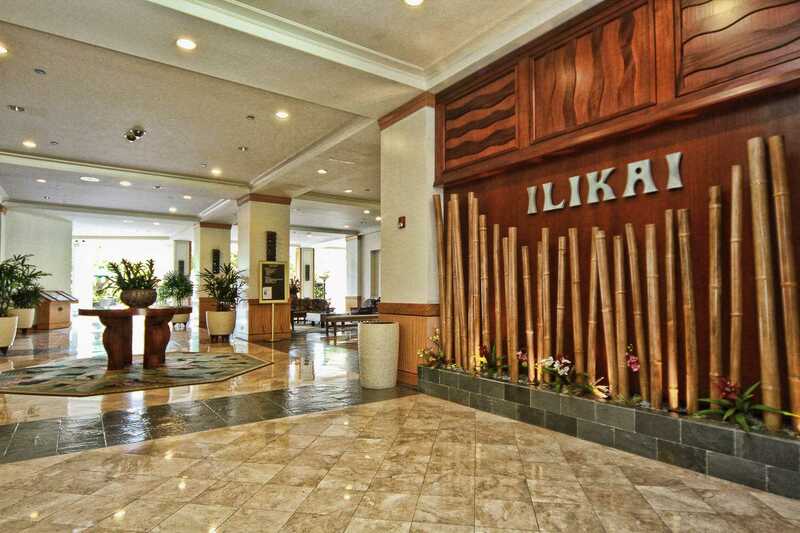 My husband and I had stayed at the Ilikai twice before as hotel guest. This time we wanted a longer visit and decided that VRBO was the most economical way to do that. The space was every thing we hoped for. I did call the agency to report that I missed the fact that there was no designated dining space inside. We did bring the table and chairs in from the lanai a couple of times but otherwise had our meals outside and loved it. The other downside for me was the mattress was far to firm for me so I suggested storing a mattress topper in the ample closet space for guest if they need it. All in all it was a wonderful experience and we do recommend it. Enjoyed our stay at the ilikai. The location can't be better. Walkable to everything. Check in was so easy. This suite is a little dated. Not a problem but no dishwasher and few spices. But who's cooking anyway with all the great restaurants nearby. This place was clean and comfortable. View of the harbour is fantastic. Loved watching the boats coming and going from the marina. this was the best holiday we had! we are a family of 3 and appreciated the privacy of the sliding door across the suite as our little one slept and we can enjoy the lanai. very spacious, close to everything, great show on Friday nights! we would book again! cant wait to go back! Booking this property was simple and all of my questions answered without delay. The room is exactly like the pictures, clean and spacious with a beautiful view. 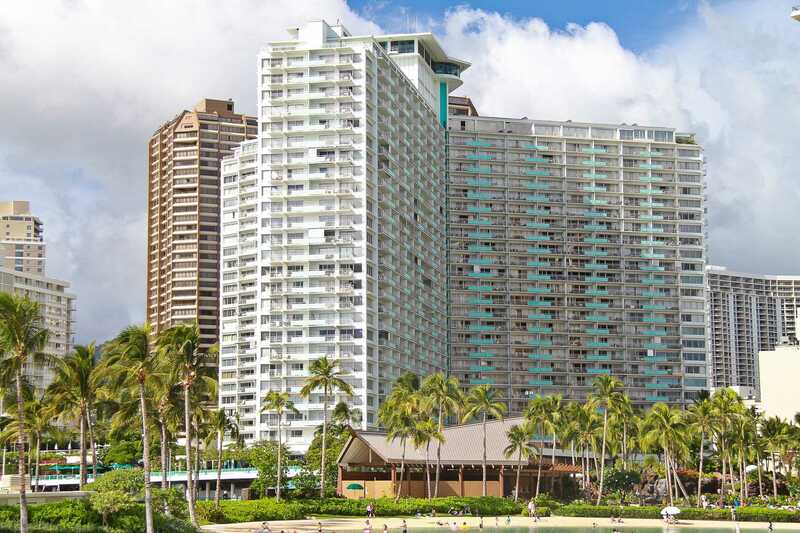 It was a 10-15 minute walk to Ala moana or Waikiki, buses stop in front of the hotel and taxis at your door step. I wouldn't hesitate booking this place again. Thank you for a lovely stay in honolulu. "The place was very clean and comfortable. The view was amazing!!! The location is close to everything as well. The beach nearby is a bit crowded, so we had to drive an hour to a different beach, but if you don't mind crowds, it's a nice beach. The location is close to lots of restaurants, cafes, shopping. The place has everything you need. Will highly recommend. Beats the hotels." Excellent stay and exactly as the pictures looked. We spent five nights in Apartment 1437. Wonderful views over the marina and good balcony to sit and watch the sun set. Full size refrigerator makes it very easy to self cater and there was plenty of cutlery and crockery. Extra comfy chair on the balcony was wonderful. So too the ability to close the bed area off. Having both air conditioning and a fan over the bed was excellent. 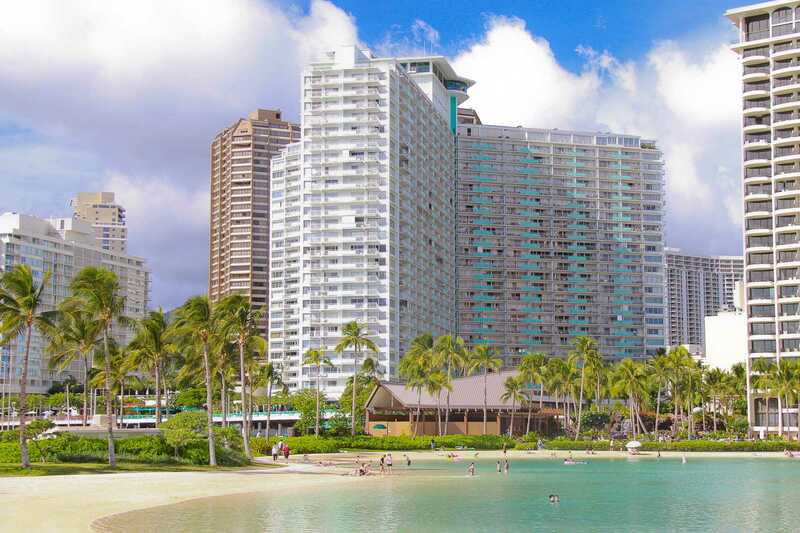 We love this area out of the hustle of Waikiki and close to Ala Moana. It would be very helpful to have a safe in the room. The views match anything at any of the other beachfront hotels at a much more competitive price. We were very happy with this unit. The only thing that needs attention are the plastic curtain clips. Some have already broken because of exposure to sunlight ultra violet. The rest of the clips probably now need replacing. 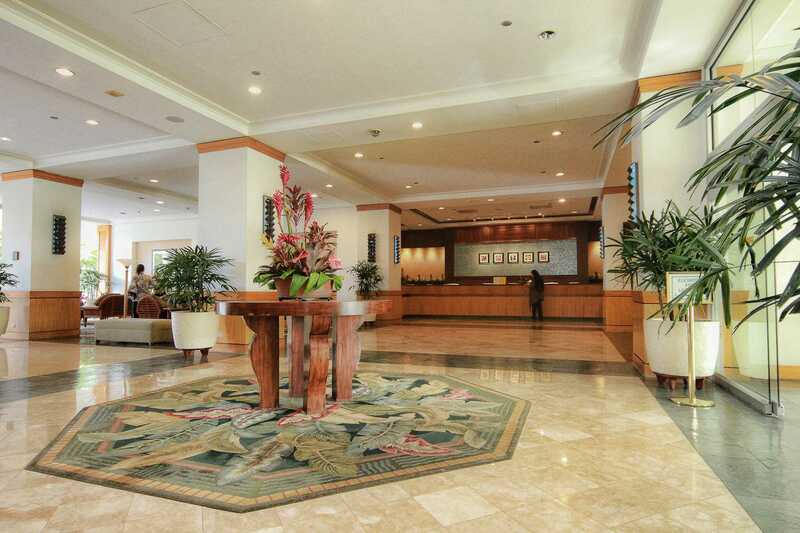 Hawaiian Vacation properties were excellent to deal with. Their concierge service however left a lot to be desired. After an initial email from the woman we had no success in actually contacting her by either email or phone. Better to not offer the service if she is not reliable as the hotel concierge service downstairs was very helpful. I am making reservation 3 month ago, and rental above Unit #1437 from November 27 - December 1st, 2015. totally 4 nights for my friend from China, they are really happy to stay with this scenery unit, and they are enjoying their photo in early morning and sunset view. hopefully they will come back Hawaii again soon.